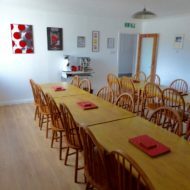 Saddle Mountain Hostel is a small and friendly 4* hostel in Invergarry, between Loch Ness and Fort William and at the junction with the road to Skye. 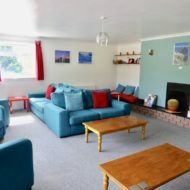 It is on the Great Glen variant of the Cape Wrath Trail, a few hundred metres off the actual trail. 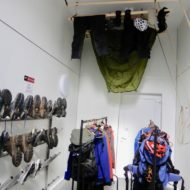 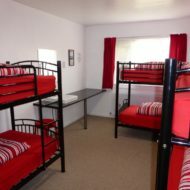 The hostel has a maximum capacity of 24, spread across two six bed dorm rooms and three private rooms of varying sizes. 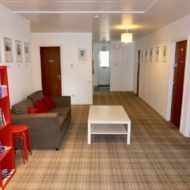 Dorm beds cost £22 and private rooms from £18pp. 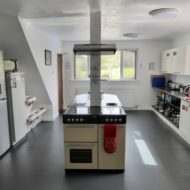 It has a large self catering kitchen, dining room and lounge, plus free WiFi.There is also a large, purpose built drying room and guest laundry, ideal for long distance walkers.